Bundling admission to top Pigeon Forge attractions is a great way to save money on favorite local fun including Dollywood, the Titanic Museum, and Anakeesta canopy park. 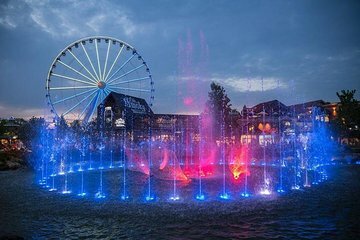 Use your pass for a fun-filled getaway packed with favorite Pigeon Forge activities, or spread them out over the course of a full year. This pass also includes special deals at Hard Rock Cafe, Ole Smoky Moonshine, Tanger Outlets, and the Island at Pigeon Forge.